At Summer Garden Guest House/Self Catering Apartments we strive to give the best possible service in the tourism industry to all our valued guest. We want our guests to enjoy their stay to the fullest in a clean and safe environment, with friendly and helpful staff and all the necessary facilities associated with travelling. That is why we believe that the reviews score of our establishment is the only real measuring tool that the guests can use in the tourism industry. In that way the success and high service levels of our venue can be measured. We believe that our guests should do the talking, by rating us internationally on all major platforms. In this way other guests can get a true reflection of our service levels, cleanliness, value for money or whether our facilities are up to the standards that are expected of lodging in South Africa. Please read through all our reviews to see whether our venue is up to standard for a pleasant and relaxed stay. Then please rate us yourself after your stay on Tripadvisor, Booking.com, Google Reviews or whatever services are best suited for you, the guest. This will help us to improve our service or upgrade and renew our facilities to meet the expectations of our guest. This will also help other guest ascertain whether our Guest House/Self Catering Apartments are suitable for their needs. The Management at Summer Garden Guest House/Self Catering Apartments are always open for any suggestions or recommendations. We want to create an enjoyable stay that will be remembered once our guests leave the premises. 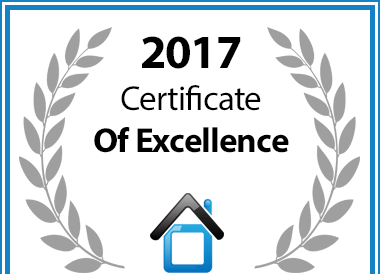 In recognition of exceptional service Summer Garden Guest House is hereby awarded a Certificate of Excellence.